Skiing every month of the year? Sign me up! You might think ski holidays are only viable a few months of the year, but thanks to glaciers and high-altitude ski areas, the Alps actually offer year-round snow sports fun! While we always advise checking the snow report before booking a holiday, these ski resorts offer a fairly decent chance of snow cover and cold temperatures, even in the summer months. Here are our top 12 ski resorts for skiing every month of the year! 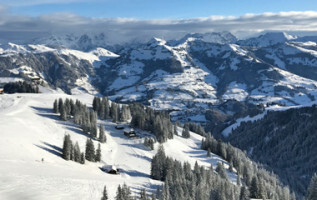 As we saw with the incredible snowfall this year, the Skicircus Saalbach Hinterglemm Leogang Fieberbrunn is a good bet if you’re looking for early-season snow. By January, the self-proclaimed “Home of Lässig” usually has more than enough snow to kick off the ski season. Skiers and snowboarders can explore more than 270km of pistes, of which the majority are blue and red cruisers, and top it all off with a healthy round of après-ski. 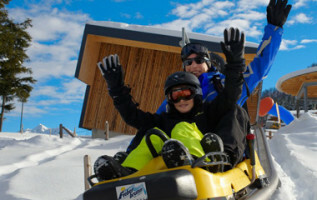 February is family month, and many families opt for ski holidays during half-term. So, if you’re looking for a family-friendly ski resort, we recommend Serfaus-Fiss-Ladis, one of the best family ski areas in Austria. 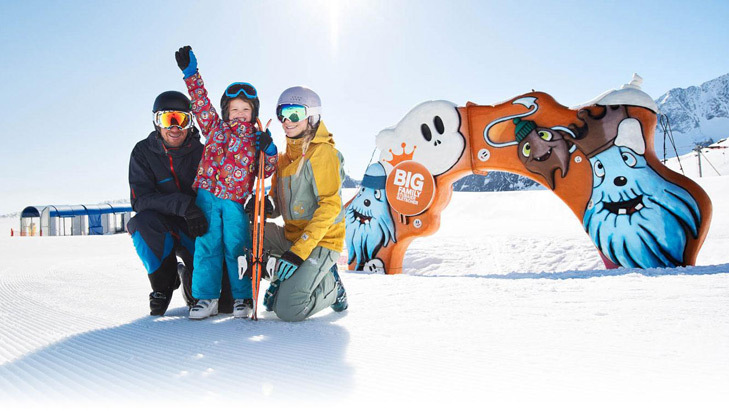 214km of slopes and plentiful non-skiing activities plus excellent childcare are your surefire ticket for successful family ski holidays in the Alps. 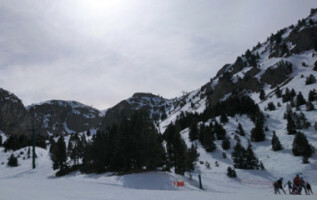 March brings spring skiing conditions, with soft snow and sunny days on the mountain terraces. South Tyrol is an attractive option during this month, especially as many ski areas are south-facing for even more sunshine. Val Gardena offers 175km of slopes plus the famous Sella Ronda ski circuit, not too shabby for ski holidays with the gang! The ski season isn’t over in May! If you’re worried about snow cover as Mother Nature prepares herself for summer, try checking out Kitzsteinhorn, otherwise known as the “Top of Salzburg.” Here you’ll find 50km of slopes at high altitudes of over 3000m above sea level, guaranteeing snow cover well into May. This is a wonderful choice for intermediates who want to cruise all day long on the wide glacier slopes. Freeriders will also find some great terrain, and skiers and snowboarders can try out next year’s models during the spring festival. 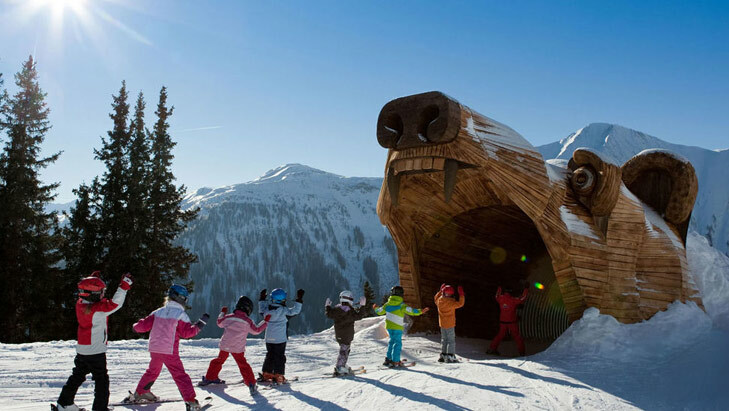 This is one of the strangest ski resorts in the world. The Stelvio Glacier ONLY opens in the summer – because in the winter it’s inundated in snow! 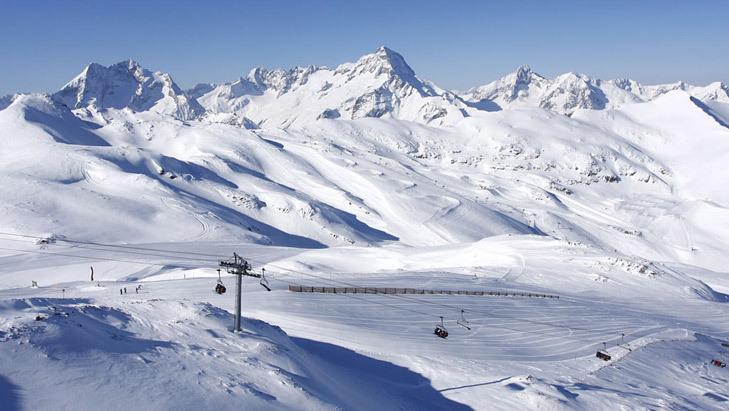 From May to October, this small ski area offers 9km of pistes at up to 3400m altitude. Come here in June and there’s a good chance you’ll rub shoulders with World Cup athletes, busy training for next winter. Tired of planning beach holiday after beach holiday when you really don’t even like the beach that much? 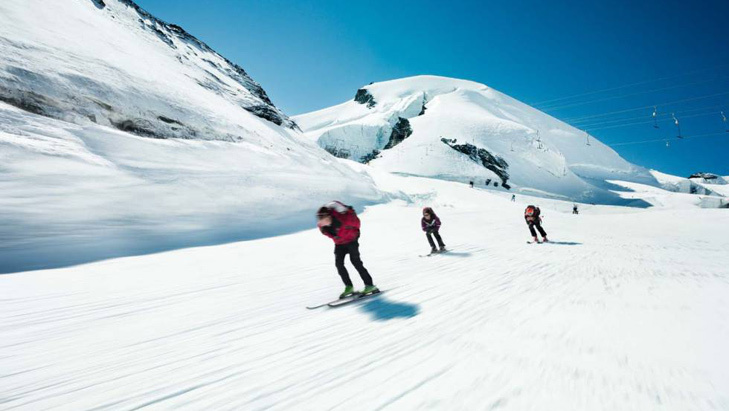 Why not try a summer ski holiday to Saas-Fee this July? This glacier ski area in Switzerland has 20km of slopes open for skiing and snowboarding in the summer at an altitude of 3600m above sea level. Like at the Stelvio Pass, you run a high chance of glimpsing some pros here. 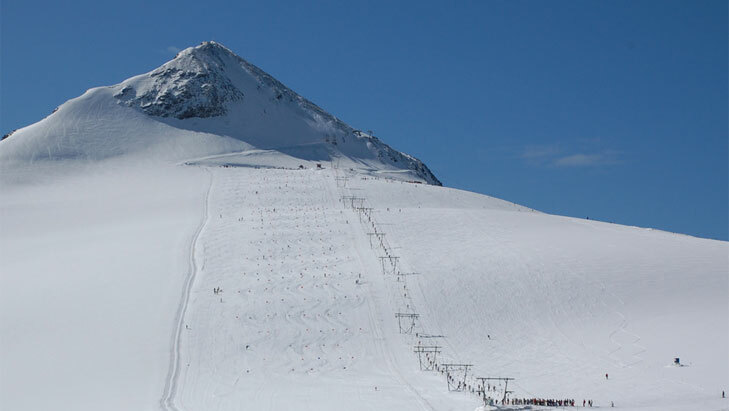 A favourite with freestylers, Les Deux Alpes stays open in the summer thanks to its high-altitude glacier slopes. This French ski resort is renowned for its fantastic snow park, plus a rousing après-ski scene and plenty of wide cruisers for intermediate skiers and snowboarders who just want to enjoy the sunshine. 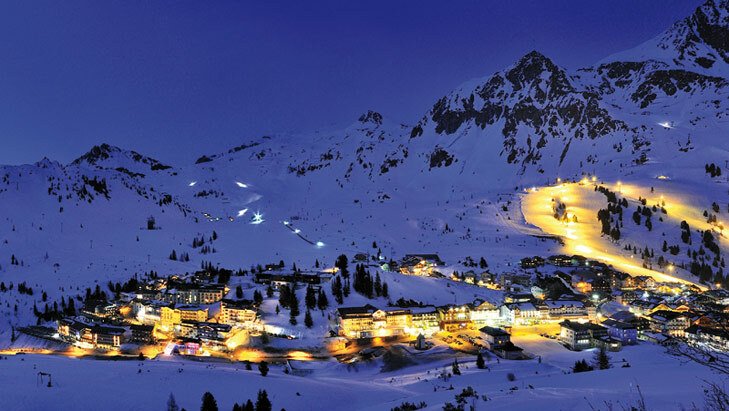 Austria’s only year-round ski area is the perfect destination for a September ski holiday. 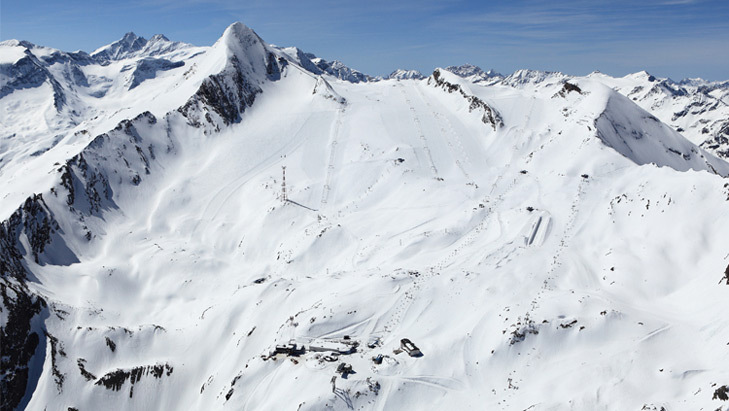 At more than 3200m above sea level, you can’t beat the Hintertux Glacier for guaranteed snow any month of the year. Get a jump-start on ski season and make all your friends jealous with a trip to Austria and some killer pics of you shredding it in the snow park this September! The largest glacier ski area in Austria, Stubai Glacier is also one of your best choices for early-season skiing in October. Snow-sure slopes above 3000m plus the world-famous Oktoberfest with nostalgia-themed skiing and live music... this is one for the bucket list! Families and beginners will also enjoy the opportunity to practise turns at the Gamstartenbahn ahead of the winter ski season. 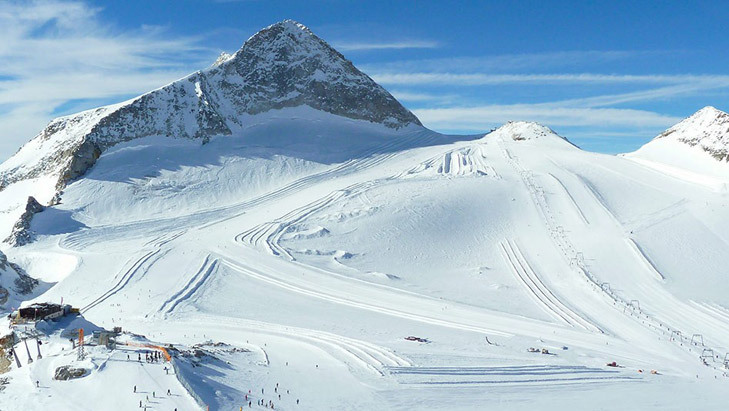 For a ski holiday in November we recommend Sölden-Hochsölden-Vent, the hotspot of the Alps. The glacier runs open from October and invite intermediate skiers and snowboarders to cruise down wide, gentle slopes in the late-fall sunshine. 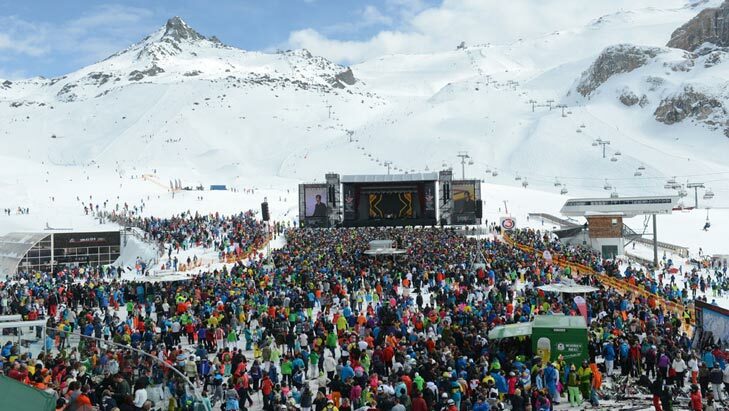 The winter ski area at the Giggijoch also opens in November to the lively beats of the Electric Mountain Festival. Dreaming of a White Christmas? Book an end-of-year ski holiday in Salzburg! 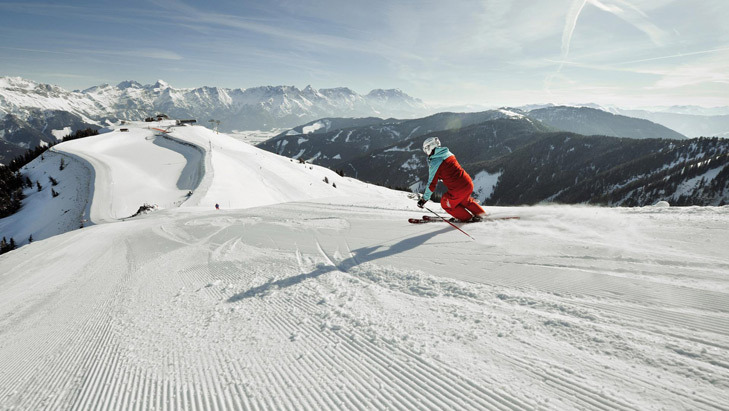 Obertauern offers guaranteed snow on around 100km of pistes. You’ll even get the chance to meet Father Christmas as he drives his sledge into town!